Who’s Really to Blame for HCDE Election Errors? If you didn’t see the news in Harris County this week, you may have missed the story that, due to an error, the new redistricting boundary lines were not used in the primary race for the Harris County Department of Education Board of Trustee positions. The two candidates who have the most at stake are Jarvis Johnson and Erica Lee. Everyone is pointing fingers at someone else. So, who is actually responsible for this mess? If I didn’t know the truth, I too would be blaming the Harris County Tax Office for messing up the HCDE primary elections. After all, chron.com blames them; Ch 13 blames them; blog.chron blames them …. But none of them bothered to do any investigating. If they had, they would have reported a totally different story. The true story of how and why all this happened. Read and facts and then decide for yourself. In 1889 Harris County School Trustees held their own elections and ran all our public schools. 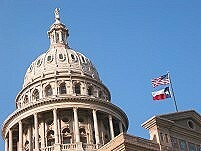 The Texas Legislature allowed independent school districts (ISD’s) to break away from the county system starting in the 1910’s. By 1935, about half of the students in our county had moved to ISD’s but the County School Trustees insisted they needed more money. So the Texas Legislature allowed the County School Trustees to start collecting a county wide property tax called an “equalization tax” on top of the property taxes collected by the ISD’s. The Harris County School Trustees lost all their students to ISD’s by 1966, but they continued to collect their tax. Most County School Boards in Texas simply voted themselves closed after all their students moved into ISD’s. But the Harris County School trustees refused to close. 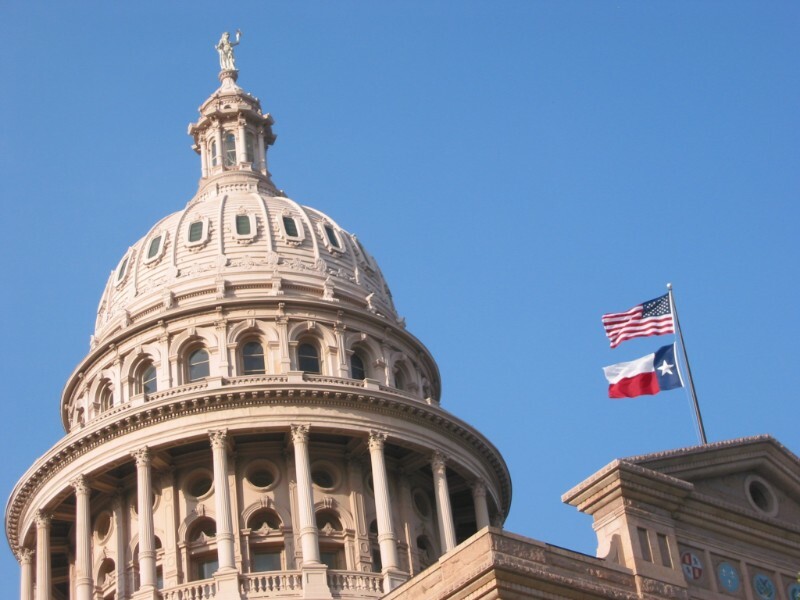 In 1978, The Texas Legislature passed TEC 17.94 which stopped all state funding for County Trustees but left a loophole allowing county school boards that collected the “equalization tax” to remain open using those funds for support. That left only two County School Boards in Texas - one in Dallas and the other here in Harris County. Each ISD held their own elections. Most residents paid attention to the ISD elections because their kids attended those schools. Gradually people “just kind of forgot” that we still had a County School Board. Then the County School Trustees came with up a name for themselves, “Harris County Department of Education.” They started using just the initials, HCDE, in their daily operations. Over time, people picked up the new name and started to assume HCDE was an actual “Department” inside the “county government” specializing in “education” even though it remained the original County School Board – a totally separate political subdivision from the county. The more people forgot about HCDE, the more lax HCDE became about running their elections. The League of Women Voters investigated HCDE in the 1970’s and found all sorts of election violations. HCDE was not publicizing their elections, they did not list polling locations, and there were serious issues with their election processes. The wrong candidate on the ballot in the wrong precinct was a recurring problem in HCDE elections. Almost all of Cy-Fair area was within Precinct 3 but only 2 polling places were designated for 3. The League of Women Voters tried to get HCDE to clean up their elections but HCDE just ignored them. Finally LWV sued HCDE using the Voting Rights Act because HCDE was disenfranchising minority voters by holding elections at times when fewer people would be voting, and offering very few polling locations in certain areas (especially minority areas). LWV won in Federal Court but it wasn’t easy and it took years. HCDE defied judges’ orders, refused to hold elections when ordered, changed the dates of elections, etc… HCDE was so defiant that when the case was finally over the courts forced HCDE to re-elect 5 of their 7 board members who, the court said, had been illegally elected. All the publicity about the LWV lawsuit brought HCDE to the forefront. People started questioning the need for a County School Board again. All that was needed to stop the wasteful tax was four good people to be elected to the board to vote it closed. In the early 1980’s, three Libertarians were elected to the board on a platform of shutting the obsolete board down and ending its taxing authority. Four “old timer” board members remained. When it came time for the next election more Libertarians were on the ballot and the “old timers” knew the board would be closed if another Libertarian won. The “old timers” still held the majority, so they voted NOT to hold their next election until after the Legislature met again. You read correctly. They simply voted NOT to hold a scheduled election until they could get their friends in the Texas Legislature to fix things. The Texas Legislature came through for their friends at HCDE big time. They passed TEC 17.031, a law that made County School Trustees “county officers” for elections. That meant they would go through the party primary election process and that all candidates on the HCDE ballot would have party affiliation next to their names. In a county where so many people vote straight party, that pretty much guaranteed that no more Libertarians would win a seat on the HCDE board. And as an extra perk, the Legislature worded the law to require all HCDE board members to re-run for office in 1984 using the primary system. So for the second time in just a few years, HCDE board elections were a complete do-over. That fixed HCDE’s problems. All Libertarians lost their seats and three “old timers” got to return. HCDE stayed open. The only change, they no longer held their own separate elections on a date of their choosing. They would always be on the general election ballot in November with county, state and national offices, even though they were still a completely separate political subdivision from the county. The people of Harris County “kind of forgot” about the County School Board again. In 1991, HCDE filed an “Assumed Name Certificate” in Harris County to make HCDE their legal “doing business as” name. Texas Education Code section 11.301(a) A school district or county system operating under former Chapter 17,18,22,25,26,27,or 28 on May 1, 1995, may continue to operate under the applicable chapter as that chapter existed on that date and under state law generally applicable to school districts that does not conflict with that chapter. That loophole left Harris County taxpayers funding a county wide school system with the authority to collect a county wide property tax, with no students zoned to it, and no laws on the books for the people to know what it is supposed to be doing! Well, now it is 2012 and HCDE elections are back in the news. Why? Because the new US Census required redistricting. All the new boundary lines require the voter registrar (tax office) and elections department to rework everything to make sure each voter is actually voting for all the right candidates. Many lines overlap. For example, Katy ISD is split by three counties – Harris, Waller, and Fort Bend. Counties can be split by State Board of Education boundaries, etc. The list goes on and on. According to the tax office, there are approximately 500 separate entities with over 700 district lines. That is why Texas Election Code 42.0615 requires political subdivisions to report their boundary changes to the County Voter Registrar (Tax Office), so the proper candidates are included in each precinct. Should the Tax Office have automatically changed HCDE’s boundary lines without HCDE requesting it? First you’d have to ask - What are the HCDE’s boundaries? Simple to find out, just read the laws governing County School Board boundary lines. OOPS! 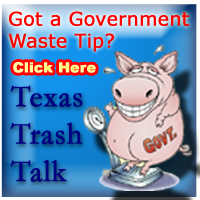 The Texas Legislature removed those laws from the books 17 years ago. The only way to find out is to ask HCDE. They are the only ones with a copy of the former laws and they keep them well hidden. I had to file through Freedom of Information to get them. Second, Texas school district lines are not changed by the census. HCDE is listed as an independent school district by the Texas Education Agency as well as the State Comptroller’s Office. In some legal matters, HCDE declares it must be treated the same as school districts. Third, at the beginning of the primary the Harris County Clerk’s office required that HCDE candidates complete Personal Financial Statements just like other “county officers” as required by law. In the letter below (from HCDE’s own attorney to Harris County Attorney Vince Ryan’s Office) claiming HCDE board candidates are exempt from filing Personal Financial Statements, you can see the real problem. HCDE’s own attorney lists the reason HCDE candidates are exempt as “county officers” and the reason they are exempt as “school board trustees of independent school districts.” Seems that their own attorney is not quite sure what they are either, so she covered all bases. So who is to know what HCDE is? Sometimes HCDE claims it is “like a school district”. With no laws on the books, it is hard for anyone to know. Should the HCDE Superintendent have informed the Tax Office of changes in the HCDE’s boundary lines due to the census? Superintendent is responsible for all reports. Basically, he is the “CEO” of day to day operations of the district. Sec. 42.0615. NOTICE TO REGISTRAR OF BOUNDARY CHANGE OF POLITICAL SUBDIVISION. in a format that is compatible with the mapping format used by the registrar's office. Added by Acts 2005, 79th Leg., Ch. 709, Sec. 1, eff. September 1, 2005. Fourth, the HCDE board spends millions of our tax dollars each year to pay a superintendent, three assistant superintendents, two government “liaison” specialists, as well as multiple lawyers, directors and support staff. HCDE spends over $150,000 every year for a full time consultant in “School Governance,” Dr. Richard A. Griffin. The HCDE Trustees spend hundreds of thousands of tax dollars every year to send themselves and all the employees for training on laws, regulations and operations of the district. All that money spent, and NOT ONE person thought to even call the Voter Registrar to check the boundary lines before or after the primary? So who do you think is responsible ? HCDE’s Superintendent for not turning in the request to change the boundary lines or the Voter Registrar (tax office) for not noticing HCDE had not turned in their request to change their boundary lines? The only one who has accepted any responsibility is Don Sumners, our Voter Registrar. He admits his office should have noticed that HCDE had not turned in their request to change their boundary lines. His office is also the one who found the error and sent out the notices to HCDE and the board candidates. On the other hand, HCDE has accepted no blame. They have placed all the blame on the Tax Office. They have NOT asked for the resignation of their Superintendent. Instead, Board Member Roy Morales said Don Sumners of the Tax Office should resign. HCDE has mentioned nothing about the fact that they have messed up their own elections in the same way so many times in the past that the Federal Courts can’t trust them to make their own election decisions. They have implied that they are seeking help from to the Federal Courts because they care about the voters, not because they have been sanctioned by the Federal Courts in the past because of their poor election procedures. Who do I think is responsible? Actually, neither one. I think the Texas Legislature is at fault. They are the ones who left loopholes in the laws for their friends causing all this to happen. If the Legislature had closed all County School Boards when they removed the laws governing them from the books, none of this would have happened. Who will suffer from this legal mess? THE HARRIS COUNTY TAXPAYERS!!!! HCDE will waste hundreds of thousands of our education tax dollars on more lawyers for the federal courts, to sue the county and to cover their backs. Then they will spend hundreds of thousands more on political consultants, marketing specialists and lobbyists to repair the damage done by all the negative publicity and to make sure the Legislature doesn’t use this fiasco as the final straw to shut them down once and for all. The county will waste hundreds of thousands of our tax dollars on lawyers and personnel to clean up the mess.